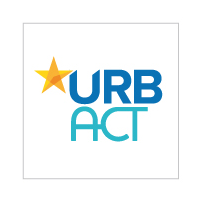 Join the URBACT team to support building capacities in cities all over Europe! Under the responsibility of the Capacity Building Officer, the intern will work within the Project and Programming Unit, which is responsible for all the URBACT networking and capacity building activities. The intern will contribute with the implementation of the programme level networking and, more specifically, with capacity building trainings (the URBACT Campus). Research and monitor capacity building and training policy tools outside the URBACT scope. CV and cover letter in English to be sent exclusively by e-mail to Thierry Picquart, Head of the Administration & Coordination Unit [t.picquart@urbact.eu] and Adele Bucella, Head of the Project and Programming Unit [a.bucella@urbact.eu]. 6 months, ideally starting on 1 March 2019.